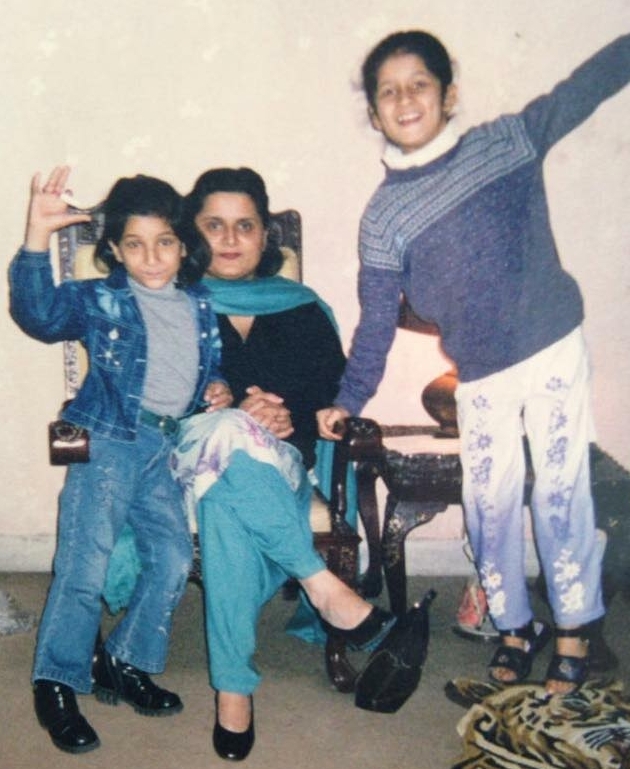 Aliha Nasrullah was a just a regular 16-year-old whose life revolved around being an all-rounder like any other ambitious student apriring to become a doctor. But one day, her life as she knew it, came crashing down to a sudden halt. In January 2011, when Aliha was still in her first year of A’ Levels (grades 12-13), she suddenly collapsed while attending a Model United Nations event being hosted at LUMS, a renowned university in Lahore, Pakistan. Next thing she knew, she woke up with excruciating pain in a hospital ward, crowded by a dozen anxiously looking family members and confused doctors, who had absolutely no idea what was wrong with her. All they could tell was that her organs were failing, and their team of doctors could not find a plausible cause for her collapsing, disabled body. She remained hospitalized for another month, till she was dragged to the next hospital, and the next, till she had to eventually take a gap year from school. At the time she thought being disabled and out of school was the worst thing that could have ever happened to her, but little did she know that this experience was going to turn her into a person she was ultimately going to be very content with. A year went by, and her body was still mysteriously failing, with no diagnosis in sight. Countless blood tests, biopsies, and ultrasounds later, she had once again gotten discharged from yet another hospital, with a huge question mark on her medical notes. The doctors still did not have a diagnosis and had given up on her once again. When Aliha asked the couple about their child, the mother began to cry and said that there was no hope for their baby unless she was taken to a better medical facility, which was not an option for them. They had already taken a loan from someone in their village to travel all the way to Lahore city. And since they had already used all the funds they had, it was absolutely impossible for them to prolong their stay in another city, let alone go to a more expensive hospital and pay all the bills again. The more details the couple went into about the struggles they had been facing, the more ashamed Aliha felt of the “self-pity” she had been feeling for herself a few minutes ago. Talking to the couple made her realize that her medical problems were nothing in comparison to the struggles that the couple had to face, because deep down inside, she always knew that there were other options her family could explore. If one hospital could not come up with a diagnosis, her parents could still take her to the next. If doctors in Pakistan could not put an end to her medical mystery, she could go abroad in search of an answer. And in that moment, she realized that even having hope at a time of desperation was also a luxury not many others had. A few months after that incident, Aliha went to America, where she was diagnosed, and her life started to come back to normal. She was able to come back to school again and start A-Levels from where she had left off. But the experiences she had had during her gap year had left a spark in her to give back to the community as an attempt to extend her shelter to those who didn’t have the opportunities she had. And this became the driving force behind the small community service projects she started organizing with her siblings. She started off with her first project with her sister Parnia, called The Children’s Toy Drive in 2012. Every Eid, they got together with friends and family to distribute gifts to the children admitted at Children’s Hospital, Lahore. While the project just started with 300 goody bags in its first year, it was so appreciated by friends and family that they were able to double and then even triple the number of gifts in the following years to come! 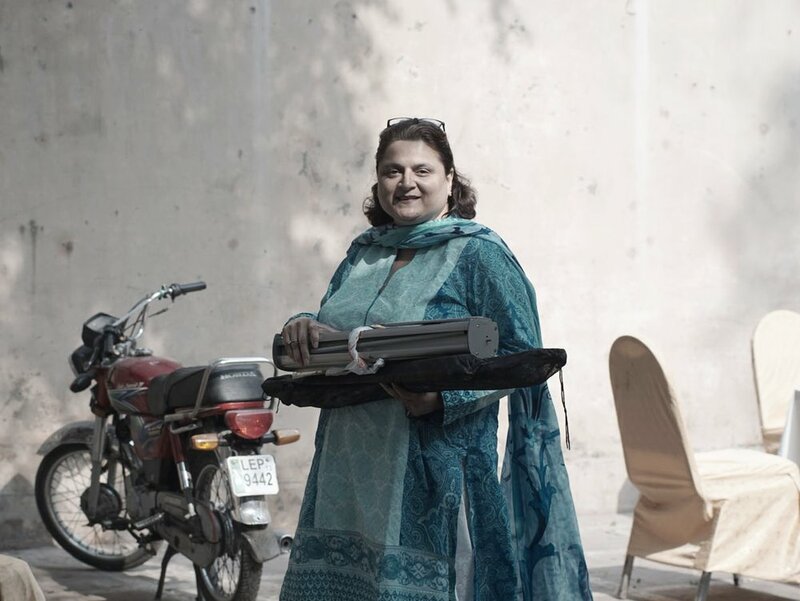 Then in 2014, she and her friend, Amara Zulfiqar prepared family food packs and basic medical kits that were transported all the way to Tharparkar desert for the drought victims there, which catered food and medical needs of 350+ families for an entire month! The response they received was so overwhelming that not only did they manage to finance the food packs but also sponsor 2 deeply dug wells in the vicinity for the drought victims and their livestock for the years to come! She continued with a few more similar projects, before her A-levels came to an end, and she had to shift to New York for her undergrad. Although she was out of the country for most of the year, she still carried on with similar projects whenever she came back to Pakistan for summer breaks. But while she was involved in small-scale community service projects each summer, she was constantly working behind the scenes to come up with a more concrete initiative that would continue to run even in her absence. And after 4 years’ worth of planning and effort that plan materialized in the form of Barkat Foundation, which she co-founded with her mother, Sabrina Ayesha. “Barkat Foundation is our little brainchild that’s been spreading happiness around Pakistan with its little welfare projects. Our slogan is “spreading happiness, one household at a time,” and that is exactly what we aim to do at Barkat. Barkat Foundation, became a registered non-profit organization in 2016, and started off with its first project of hosting free medical camps in underserved areas of Pakistan. Making Aliha’s hospital experience from her gap year as the inspiration behind this initiative, Barkat’s medical camps aim to make free, basic healthcare facilities accessible to those who are deprived of them. Moreover, with this project, Aliha and Sabrina also made it their objective to counter unauthorized medical practitioners, who exploit the underprivileged by practicing quackery and cause countless fatal complications every year. Barkat Foundation’s first medical camp was held in Narang Mandi, a small village in Sheikhupura district, which offered free medical consultations and medicines to 40 patients. But in the past 2 years, they have hosted medical camps at 21 different locations in 10 cities across the country and have served more than 5,700+ patients and counting, all free of cost. Barkat’s each medical camp caters to 100+ patients at a time now, where each patient goes through different stations for a complete medical check-up. Patients first get registered at the check-in desk (with their CNICs), where they are given a token number upon registration. Once the patient’s check-in is complete, they wait in the waiting area for their turn to be called out. Upon their turn, they go to the doctor’s office for a free consultation where they can freely discuss any medical problems they might be having. Upon listening to the patient’s concerns, the doctor prescribes them prescriptions, which they take to the medicine station, where a team member gives the entire course of treatment for the prescribed number of days for free. Once they have the prescribed medicines, patients are then sent to the check-out desk where they are explained how to take the medicines properly as per the doctor’s instructions. The best thing about Barkat is the workplace culture they have established in these past two years. The mother-daughter duo work with a group of volunteers to host free medical camps for the underserved, among other social welfare projects. Their youngest volunteers are Aliha’s younger siblings, Parnia and Maahin and their classmates who started helping with their projects when they were just 10 and 5 years old! Team Barkat consists of various volunteers and doctors, spearheaded by Aliha’s mother, Sabrina, who handles the on-site management of the Foundation, while Aliha manages everything else online from New York, while she pursues to become a doctor from NYU College of Dentistry. And all the effort and love their team puts into their projects is definitely reciprocated by the communities they have worked as well. These communities have become so involved in this initiative that the women in these neighborhoods have offered to make lunches for their team when they come. And many people in these neighborhoods have offered to donate their front yards for the camp as a token of their gratitude and appreciation too!